Fruity Fun. 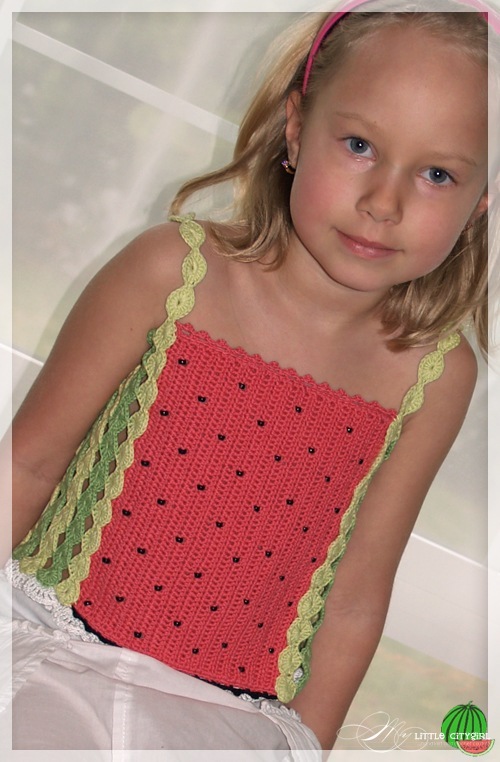 Watermelon Top Sizes 2-12 Crochet Pattern in PDF format ONLY!Yummy! The Watermelon top made in Tank style, this top can be worn as a top in warm time or paired with a matching top, blouse. So sweet and girly, perfect for any occasions and practical enough to be worn every day. 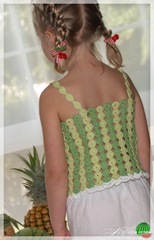 This pattern has been edited by professional tech editor and tested 2 times by independent knitters. However, please contact me if you have ANY questions. I will happily provide email support for any of my patterns.